This fall my wife and I will make our fifth trip to Lviv together. As we prepare for that trip, I decided to collect ideas for things to do and happenings in Lviv: both to remind us of good times past, and as ideas for our upcoming trip. 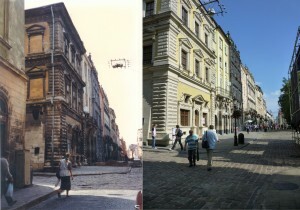 To do this, I created a Flipboard magazine called “Lviv!” to share with her. The current functioning of Flipboard Magazines is that they’re either private to only yourself – or public. In sharing this with my wife, I really had no idea anyone else would read it. But to share with her, I had to make it public. So I was actually fairly surprised to see several other readers subscribing to the magazine. I have a tremendous personal affection and enthusiasm for the city and its people. Since my first visit a few years after independence, there has been a deep and abiding joy seeing the city rediscover itself, reclaim its history, and face both seemingly unending challenges and, simultaneously, its untapped potential. I was especially struck by this in 2010, when I noticed that I had taken a photo of a beautifully restored building in the center of town that I had also photographed back in 1996, when it was in considerable disrepair. And while the changes we encounter each time we visit aren’t always as visually dramatic as this, they are equally surprising and often delightful. 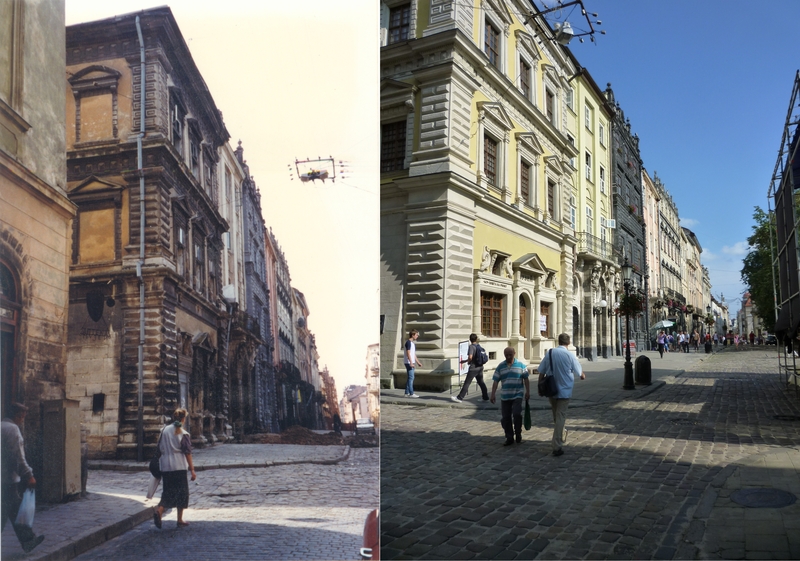 The reality is that most Americans have never heard of Lviv, much less visited it. Based on my experiences, I find that truly sad, as there is much to see and discover. Thanks for your understanding of my purpose, and should you find anything of interest in the Magazine, that’s great.